The School of Business and Management ITB (SBM ITB) is the only school/faculty in ITB built on the humanities and management science. The ministry requires higher education institutions to conduct Tri Dharma Perguruan Tinggi. SBM ITB is developing itself to excel in education, to develop and to disseminate knowledge in the fields of business and management. The research activities focus on business cases and management practices of the leading successful companies in Indonesia so that the development of management will be relevant to the Indonesian context. Proximity to the business environment and reliable research methodology improves SBM ITB’s ability to create excellence in research. As part of the internalization strategy, SBM ITB aims to achieve international accreditation. Furthermore, SBM ITB emphasizes globalization in order to prepare its students to compete with the students of other leading business schools in Asia and Pacific. The mission of SBM ITB is: “To educate students to be innovative leaders with an entrepreneurial mindset and to develop and disseminate knowledge of business and management for the betterment of business, government, and society”. The Vision of SBM ITB is: “Being a world-class institution that inspires and develop new leaders with entrepreneurial spirit”. The industrial engineering department of ITB recognized the importance of business and management education in Indonesia as early as the 1970s. This idea stayed in the department during the 1980s but was finally realized in 1990 when Prof. Mathias A’roef, a prominent figure in Indonesia in the field of Industrial Engineering, introduced the MBA program at ITB with a concentration in operational management. This, in turn, culminated in the founding of SBM ITB. In 2002, the Governing Council approved the formation of an undergraduate program in business and management. A team was assigned to develop a vision and mission statement and to design learning methods best suited to the program. The team developed a curriculum which was considered a breakthrough in business and management education in Indonesia. 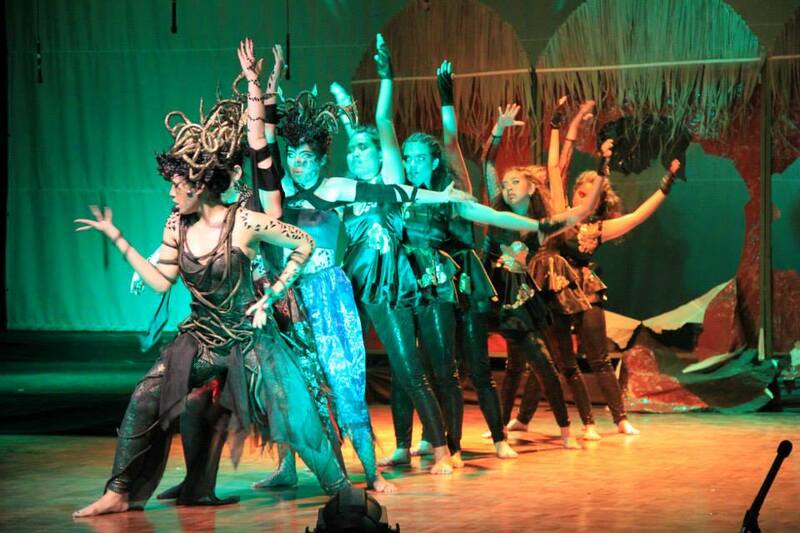 It proposed the use of performance art to develop students’ self-confidence as well as skills in leadership, communication, and conflict resolution. In line with a social constructionist paradigm, the curriculum emphasized the importance of team-based learning as opposed to one-way lecturing. Some of the innovative courses designed by the team were Integrative Business Experience (which was adapted from a course offered at the University of Central Missouri), Management Practice, and Community Service. The team also proposed the use of English as the medium of instruction. In December 2003, the School of Business and Management was formally established. The nomenclature “School” was chosen instead of “Faculty” to signify its autonomy. In the process, the MBA program which was initially run by the Faculty of Industrial Engineering, became part of the School of Business and Management, allowing it to have two programs; the undergraduate program and the MBA program. 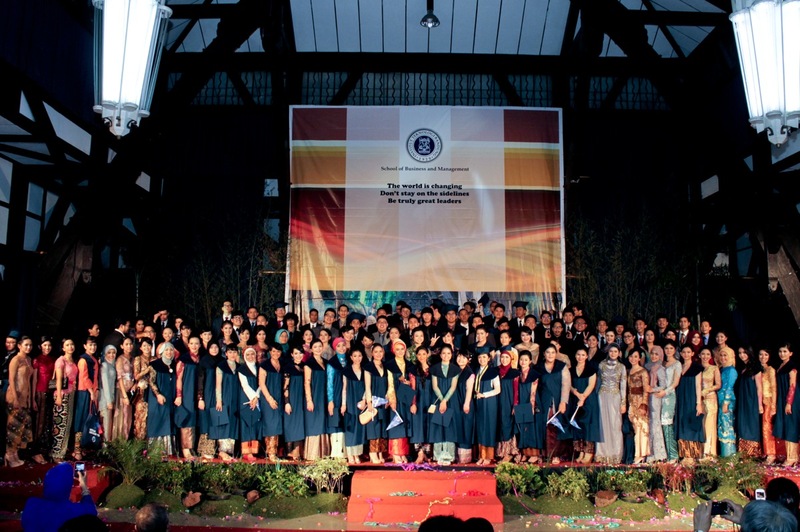 In August 2004, SBM ITB admitted 115 students to the undergraduate program. SBM ITB has experienced continuous growth, and with the support of faculty and professional staff, it aims to make a positive contribution to educational development in Indonesia. SBM ITB currently has a student body of 2,221. SBM ITB has full authority to make decision sat the strategic and operational level. At the strategic level, SBM ITB is authorized to initiate international relationships and to offer new study programs. Nevertheless, the programs must comply with regulations imposed by the Ministry of Education of Indonesia. At the operational level, SBM ITB has been granted certain degrees of autonomy by ITB. In finance, SBM ITB has the authority to manage 70% of its tuition fees; the remaining 30% is retained by ITB. The availability of financial resources has enabled SBM ITB to develop its remuneration system to attract and retain exceptional faculty members and to recruit the professional staff necessary to maintain a high level of service. SBM ITB is authorized to develop its own curriculum, to propose and subsequently run a new academic program, to manage all academic programs (within SBM ITB), and to develop as well as to implement the SBM ITB research agenda. Both at operational and academic levels, SBM ITB is aligned with the policies of the Ministry of Research, Technology, and Higher Education of Indonesia. For example, in promoting the development of faculty, SBM ITB has designed the remuneration system based on three academic activities: teaching, research, and community services (as the basis of higher education in Indonesia).This situation leads to faculty members balancing those three activities to increase their competence and to contribute to SBM ITB’s mission. As stated above, in 2015 ITB was ranked number one on the list of best universities released by the Ministry of Research, Technology, and Higher Education. In 2009, just six years after its establishment in December 2003, SBM ITB received recognition from SWA Magazine (http://www.swa.co.id, a highly rated business magazine in Indonesia), as the best MBA program in Indonesia. The magazine also recognized the IBE (Integrative Business Experience) provided by SBM ITB as one of the most innovative programs offered by business schools. The very high public reputation of SBM ITB is evidenced by the low student admission rate.The admission rate for the undergraduate programs in 2014-2015 was just 4%. There were 3,207 applicants for the 136 available places in the undergraduate programs. At a ratio of 24:1, SBM ITB has become one of the most sought-after business schools in Indonesia.